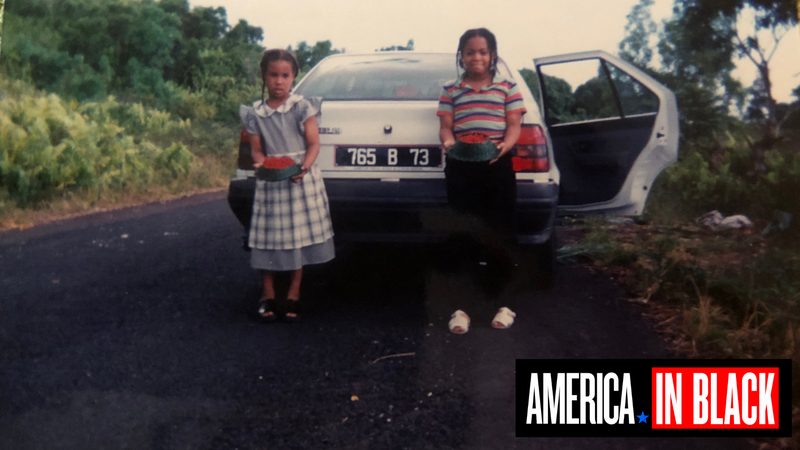 I often jokingly tell people that I grew up in a household made up of three (occasionally four, depending on what station in life my father was in at the time) distinct American dreams—one for each flag or passport represented: Comoros, Canada and the United States. My mother, my brother and I are a trinity of the resulting products of varying circumstances that led to us calling America home. My mother’s early narrative is largely one of endurance and perseverance in a foreign land that she never personally dreamed of immigrating to as a relatively isolated young parent. My brother, on the other hand, is the personification of Generation Z—old enough to remember the poverty we came from, but not quite able to grasp the depths of it—with full faith that his life is guaranteed to go nowhere but up. It’s a peculiar mix of entitlement, nerve and nonchalance that at its worst I have found deeply frustrating in its myopia, and at its best, envied for the sheer blithe ballsiness inherent to such a condition that I was never granted the privilege of having. Being the firstborn in a first-generation family, so much of my life has been structured around the concepts of duty and legacy. Dutifully following my mother around every new displacement—from Hamilton Heights in Harlem to the South Bronx to Baychester in the North Bronx and Mt. Eden, before coming back to Harlem and settling in Colonial Houses—without asking too many questions. Dutifully spending every Saturday morning in the facsimile of a shiwoni my mother created for her children to memorize and learn Arabic script in the Qur’an for prayer. Dutifully extending my hands to say kwezi anytime an elder Comorian came to stay or visit for any length of time. My mantle as a daughter of four glittering and unsung islands two oceans away was to understand the birthright I had inherited and take pride in it—especially as women who are the “diamonds of our islands” and a treasure worth protecting, regaled with stories of the two weeklong anda or traditional grand marriage ceremony should you not have the privilege of attending one in person. It’s an affirmation that is innocuous on its face, especially when positively reinforced—a pleasant lilt in an aunt’s voice when she recognizes that I’ve maintained a respectable amount of French fluency and deference and comprehension of custom and tradition—but can quickly evaporate into clipped disdain the likes of which has reverberated across decades of varieties of communication. The tense crackle that seems to linger on the phone line of a $10 BOSS Card while scornful disapproval of any divergent approaches to my upbringing in a hybrid environment is a sensation that is hard to replicate on WhatsApp. I would frankly have much preferred the option of turning read receipts off when I had decided to impart upon the rest of my family the breaking news that I had chosen to start dating in NYC and put all of their anda dreams at serious risk. Contempt aside, the fact remained that my cultural syncretism was my reality, especially as I aged and my lived experiences in the States were as much of my personal legacy as my honor-bound obligations to my family name. No matter how my life as a poor uptown kid informed my perceived identity, however, the legalities of the situation were quite different: I was undocumented through most of my grade school years and was therefore by no definition of the word entitled to any of the fruits of my labor here. As college years approached and I continued to be rendered ineligible for merit-based aid due to federal backing—the DREAM Act was far from a reality in the early aughts—I was confronted with the reality that my trajectory may be constrained by powers outside of my control, and my postgraduate career forged akin to my mother’s at the time: cleaning houses under the table mixed in with the occasional nanny stint. By my senior year of high school, I don’t know if I was a diamond as much as someone who was about to crack from the pressure. Dreamed about a day of true autonomy—over my life, my experiences and my identity—where my choices weren’t always bound to a rich cultural tradition, and I had my own personal sovereignty, not just from a legal classification but a measure of self-determination that wasn’t afforded to me in a variety of angles in my life. For me, being black wasn’t ever a question—the prefix, if not outright stated, was always implicit in whatever language I received conversation in, even as a sneering slur (there’s really nothing quite like the first time you or someone you know is casually called a kaffir). The additional weight of the quantity of other suffixes I was managing, however—black and undocumented, and first-gen, first-born, first-daughter in a Muslim family who has become the de-facto ambassador for a small East African country in which she has great pride for—was a weight that at various points threatened to crush me. I had to do the work of both asserting myself and the subplots of my personhood to both peers and adults—which were not all that uncommon to black people, just commonly not associated to the black experience in America writ large—while simultaneously divining what, if anything I could actually manage for myself out of the chaos. The signal in the noise ultimately came in the form of a private grant for school, with the caveat that I had to gamble it all and go across the Canadian border in the hopes of obtaining a student visa stamp upon reentry. Two months later, I found myself with my mom at the Port Authority, waiting for the midnight Greyhound Bus to Montreal, saying tentative goodbyes and walking through our agreed-upon backup plan—don’t forget to memorize the address of my girlfriend from university you can stay at while we book tickets to France and get you settled—should the solo journey prove unsuccessful. By noon that next day, I crossed back over to America with my certified I-20 form in tow and a Social Security number soon to follow. What I had deemed as a teenager as personal sovereignty—autonomy that I am free to exercise as I see fit, unburdened by the various legal, racial, societal, cultural, and familial anchors—was (and still is) a long way away, but clearing those 300 yards at the border felt like a damn good start.